Bada bing! What drama. "The most important work of American popular culture in fifty years" is how the "New York Times" describes "The Sopranos". Critically-acclaimed, award-winning, and the most watched show on HBO, the mobster drama swirls around the middle-aged Mafioso, Tony Soprano (James Gandolfini). Having to negotiate two families, both at home and at work, is it any wonder he is suffering an epic midlife crisis involving Prozac and visits to a therapist? The series quickly became compulsory watching when it first screened back in 1999 and has since gone on to become an international hit and subject of intense discussion. Coinciding with the sixth and penultimate series, "Reading The Sopranos" offers a timely response to one of the most talked about shows on television. 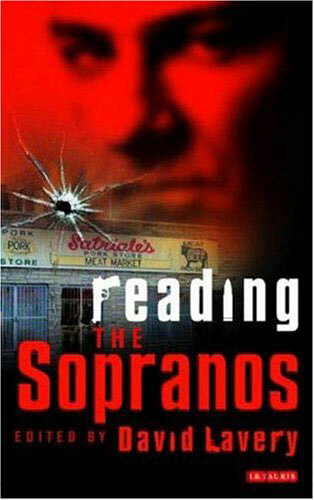 This book explores how "The Sopranos" has rewritten the rules of television drama and changed attitudes about television itself. Contributors present fresh perspectives on psychotherapy and dreams; racism and the Italian-American community; Carmela and post-feminism; "The Sopranos" as an HBO brand; racism; the full cast of 'gangsters Italianate' that people Sopranos' New Jersey; and much more. 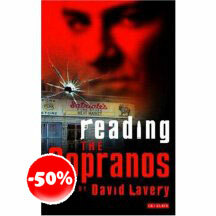 Reading "The Sopranos" also features a timeline, character list and complete episode guide, as well as editor David Lavery's up to date 'Intertextual Moments and Allusions on The Sopranos'.